European Competition Commissioner Joaquin Almunia urged countries outside the EU to adopt rules to monitor such subsidies. “All of us here today recognise the benefits of open markets and the downsides of protectionism. Subsidies can be an instrument of protectionism, countering the benefits of trade liberalisation,” Almunia said in a speech at an OECD conference. “I believe that there is scope for individual countries outside the EU to consider adopting a system of controlling state subsidies, for the benefit of business environment and quality of public policies,” he said. The European Commission, which monitors state aid in the 27-country EU, has tried with some success to hold the line against protectionism and subsidy races in Europe since the financial crisis deepened in late 2008. Former Competition Commissioner Neelie Kroes, Almunia’s predecessor, has forced aided banks or car companies to restructure and downsize their operations in return for approving their bailouts. “Rules on government subsidies are not an exclusive EU issue. 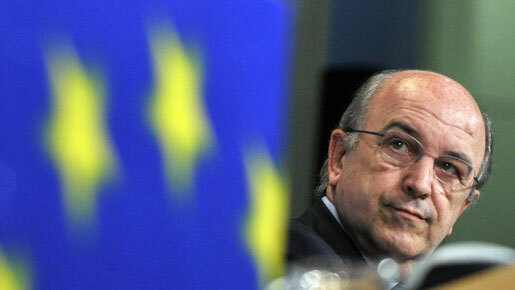 They have a place in all competition regimes – whether national, federal, supranational or international,” Almunia said. He said government measures to support industry must be open to public scrutiny and consistent with World Trade Organisation regulations.